When it comes to outdoor recreation in Pennsylvania, there’s no better place than Centre County. State College, which is also known as Happy Valley is a community nestled against the Appalachian Mountains and home to Penn State University, picturesque landscapes, and abundant state parks. From paddling crystal-clear lakes to summiting mountain peaks, there are endless ways to explore the region’s diverse state parks. Plus, the parks are open 365 days a year, so there’s no excuse not to visit. A dream park for water-lovers, Whipple Dam is just 12 miles from State College, and its lake is open just for kayaking, canoeing, paddle boarding, swimming, and boating with an electric motor. Rent a board or boat Fridays to Sundays in summer season, or keep your toes dry and go for a hike around the lake’s only trail. The Whipple Lake Trail loops three miles around and passes the stream that feeds the lake then rises above it for an overlook lake view. Escape crowds and see the starry night ski at this isolated park in the Seven Mountains region, 10 miles down a dirt road. Penn Roosevelt State Park offers rustic tent camping and peace and quiet for those who like having a place to themselves. The park area is small, but is surrounded by 80,000 acres of Rothrock State Forest and provides access to the Mid State Trail for day hiking or backpacking. After hiking, return to your campsite and cool off in the small lake. History buffs will love this park located in the once-flourishing iron-making community in the Seven Mountains. Hundreds of families lived in Greenwood Furnace at its height in the 1870s, and it’s believed that the fires burned bright enough to light the sky—allowing villagers to walk at night without lanterns. These hot furnace stacks also sent smoke and cinders into the air, coating the town in soot. Remnants of the settlement remain or have been reconstructed, including a hot blast furnace, 1860s church, and ironmaster’s house. 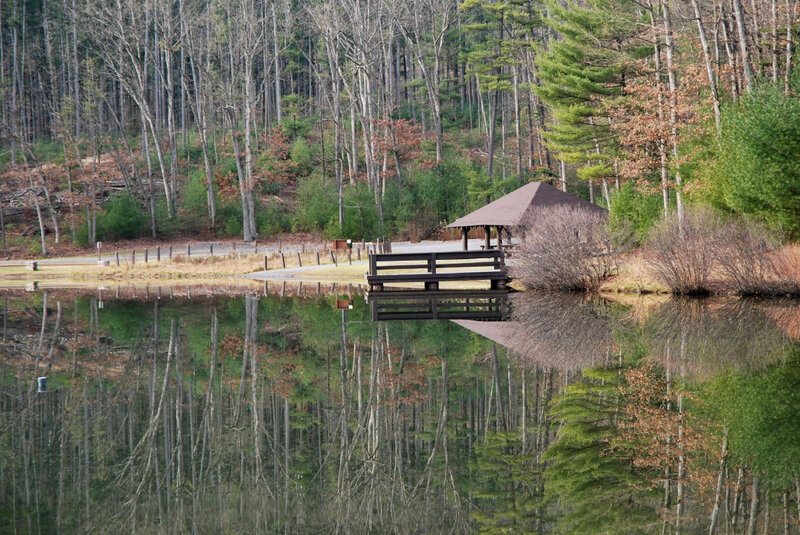 The six-acre lake was originally dammed to power the grist mill, but is now popular with anglers, kayakers, and canoers—as motorized boats aren’t allowed. Hike the surrounding trails through the forest and to the mountaintops, spotting old charcoal hearths along the way. F.J. Sayers Lake is the park’s showpiece, and it’s a haven for boaters, swimmers, and anglers. Set beautifully against Bald Eagle Mountain, the lake is eight miles long with 23 miles of shoreline, and fishermen come to catch warm-water black crappie, largemouth and smallmouth bass, and yellow perch. During summer, students and vacationers swim in the lake, kayak, and lounge on the sandy beach. Just 20 minutes from State College, the area’s also known for its unique bed and breakfast/interpretive center—the only one of its kind in the Pennsylvania State Park system—called The Nature Inn at Bald Eagle. Interpretive exhibits here showcase birding in the park and encourage kids and adults alike to venture outside. This park’s name comes from the American Indian one, “Moss-Hanne,” which means “moose stream.” And the stream below the lake is a popular place for catching trout. But Black Moshannon Lake’s tea-colored water is the most unique sight in this park, and it’s the result of clear spring water flowing through mossy bogs that becomes colored by the plant tannins. 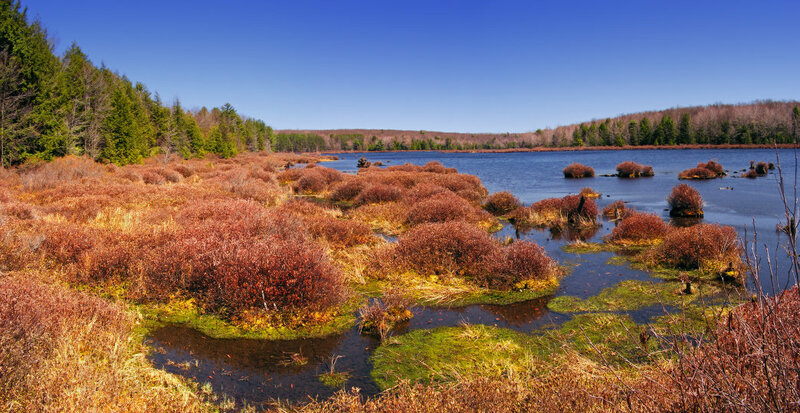 See the bogs up close on the 7.7-mile Moss-Hanne Trail through hemlocks, stopping at collect-your-own blueberry patches and beaver ponds before reaching the Bog Natural Area. Follow the boardwalk to explore the diverse marsh. See more of the park’s 3,394 acres by mountain bike, horse, kayak, or canoe, transitioning to cross-country skiing, snowmobiling, and ice skating when the snow falls. Though it’s surrounded by a vast state forest, Poe Valley is a tiny state park at just 602 acres. In the summer, anglers visit the lake to catch brown and rainbow trout, catfish, and perch. Once it ices over in winter, ice fishermen flock here to reel in a catch. 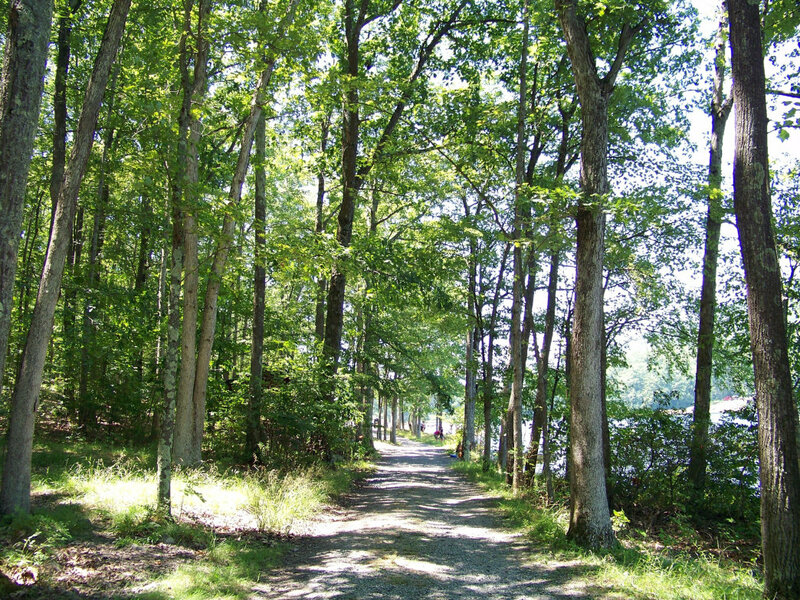 Hike three miles of trails within the park, or connect to the lengthy Mid State Trail as it passes through for a long day hike or multi-day adventure. Hike the Mid State Trail’s only tunnel section, a 250-foot abandoned railroad tunnel through West Paddy Mountain, at this state park. Follow a path along Penns Creek before crossing a pedestrian bridge and climbing up to the tunnel-turned-rail-trail and bat hibernation habitat. Located at the confluence of Big Poe Creek and Penns Creek, Poe Paddy is well-known for its Green Drake Hatch, which typically occurs during late May or early June and is a favorite of trout anglers. Though this is actually a state forest (versus a state park), Rothrock State Forest is worth including on the list for all the outstanding hiking opportunities that you’ll find so close to State College. You’ll find more than 300 miles of hiking trails in total, including Mid State Trail and 16 miles of the Standing Stone Trail, a more than 70 mile route that connects Cowans Gap State Park to Greenwood Furnace State Park. Even if you’re not up for a long hike, Rothrock State Forest offers plenty of opportunities for mountain biking, horseback riding, paddling, and fishing.